The Communist Party of China's decision to implement strict governance and pursue its sweeping anti-corruption campaign can help it provide constructive solutions to global challenges while dealing with domestic challenges, a senior Chinese official said on Monday. "China has entered a historically critical moment. We are becoming rich but not rich, and internationally we are becoming strong but not strong," said Yuan Shuhong, deputy director of the Legislative Affairs Office of the State Council at a seminar in Brussels on Monday. "Corruption and other challenges such as weakening the Party's leadership and loosening Party governance have become rampant (in previous years)," he said. Facing those pressing challenges, Yuan said the strong determination of improving the capacities of the ruling party have resulted in lasting efforts in fighting corruption with iron-fist measures and in upholding the strict governance of the Party. "We are sober-minded on the status quo of the Party, the country and the world, which have urged us to consistently boost the capacities of the CPC," said Yuan. Yuan is leading a CPC delegation to European Union to explain the outcomes of the Sixth Plenary Session of the 18th CPC Central Committee in late October. The delegation is updating think-tank experts and party leaders in European Parliament on latest developments within the CPC, which has more than 88 million members, more than the entire population of Germany. Speaking at the seminar, organized by the Brussels-based Foundation for European Progressive Studies, Yuan noted that China's population of 1.4 billion was bigger than that of the European Union, Russia, the United States, Japan and South Korea combined. "With such historic and current complexities, China must have a leadership core to overcome the challenges at home and abroad," said Yuan. Yuan said at the four-day party meeting in October, President Xi Jinping was declared as the Party's "core", a move to further consolidate the top leadership and better lead the country forward. In addition, the meeting also announced a regulation on the norms of political life within the Party, and a revision of an intra-Party supervision regulation. Yuan said all these outcomes showed the CPC's determination to achieve strict Party governance in order to complete its two centenary goals. 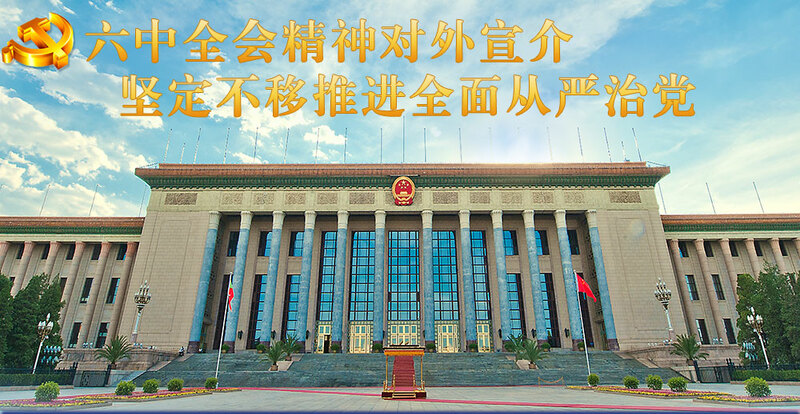 The first is to complete the creation of a moderately prosperous society by the 100th anniversary of the CPC in 2021. By the centenary of the founding of the People's Republic in 2049, China aims to have turned itself into a modern socialist country that is prosperous, strong, democratic, culturally advanced, and harmonious, so as to realize the dream of rejuvenating the Chinese nation. Yuan said these ambitious goals have obliged the Party to abide by strict political discipline and rules. "And these efforts could help us live up to the expectations of the international community to make China lead a constructive role worldwide," he said. The 19th Party's Congress is scheduled in the fourth quarter next year, when he said new Party theory, a leadership reshuffle and a blueprint for the next five years were anticipated. European think-tank experts have expressed their interest in keeping abreast with the latest information of the CPC, which they believe is closely linked to global developments and could even serve as a references for European political parties seeking to step up reform measures. Ernst Stetter, Secretary General of the Foundation for European Progressive Studies, said his organization is keen on learning the progress of China's reforms within the Party and the state. Stetter said he believes these updates are closely linked with developments in Europe and the world. Stetter even asked how to become a member of the CPC, which, according to Yuan, required high political integrity and a commitment to serving the people. In comparison, Steter said the membership of European political parties was much looser and it is interesting to learn from the CPC's experience. Wang Xueyong, deputy director general of the Bureau for Western European Affairs of the International Department of the Central Committee of the CPC said it is normal practice for the CPC to exchange developments with other parties worldwide. "And in doing so, we also lend our ears to our friends to ask them to feed us with ideas and suggestions to improve the governance of the CPC as well," said Wang. 版权所有：中共中央对外联络部 Copyright © 2000-2015 IDCPC.org.cn All Rights Reserved.